The San Francisco 49ers reportedly have offered the Oakland Raiders the use of Levi’s Stadium in Santa Clara for the 2019 NFL season, per Matt Maiocco of NBC Bay Area. The big picture: Oakland has few viable options at this point and playing in San Francisco itself appears to be off the table. The latest news follows reports that the Raiders will not be allowed to play at Oracle Park in San Francisco. San Francisco’s mayor has made it crystal clear she does not want the Raiders to play in her city next season. The 49ers would have to sign off on territorial rights for Oakland to play in San Francisco, and Maiocco reports the 49ers aren’t inclined to do that. Other venues: The Raiders are running out of viable options. Playing in UNLV’s Sam Boyd Stadium has been floated, but at this time that appears to be off the table. Once city officials filed suit against the Raiders, reports surfaced that the organization would not be playing at the Oakland Coliseum in 2019. London’s Wembley Stadium has also been floated as a temporary home. But a host of logistical issues would seem to make that a non-starter. San Diego and San Antonio could potentially be options. However, based on the way things have gone those both appear to be off the table as well. The bottom line: Taking San Francisco’s offer to play at Levi’s Stadium appears to be the best option. It’s still local enough to attract Bay Area fans, and the stadium was initial built to host two teams if needed, anyway. 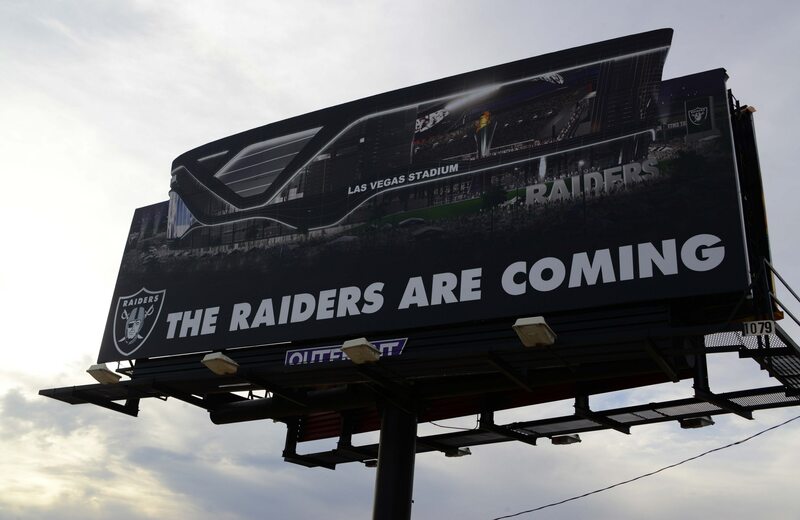 The Raiders’ stadium in Las Vegas won’t be ready for another year, so the team just needs to take the best possible deal at this point and prepare for one big move to Nevada.